Made from military grade aluminum to eliminate any opportunity of rust or corrosion, the Max Rack 2.0 is designed for carrying extension ladders and step ladders. On April 29, 2019, Ranger Design will launch the next generation of their drop-down ladder rack, the Max Rack 2.0. Tough, safe and simple, this rack is a fit for extreme use on the jobsite. Built as a solution for all high roof cargo vans, the Max Rack 2.0 allows tradesmen easy access to their ladders with the least amount of effort. The loading and unloading process is a smooth, single stage operation that drops the ladder down to the right height, quickly and efficiently. By reducing the sweep angle of the rack handle by 45 degrees, it's now even easier to operate the rack from the ground. 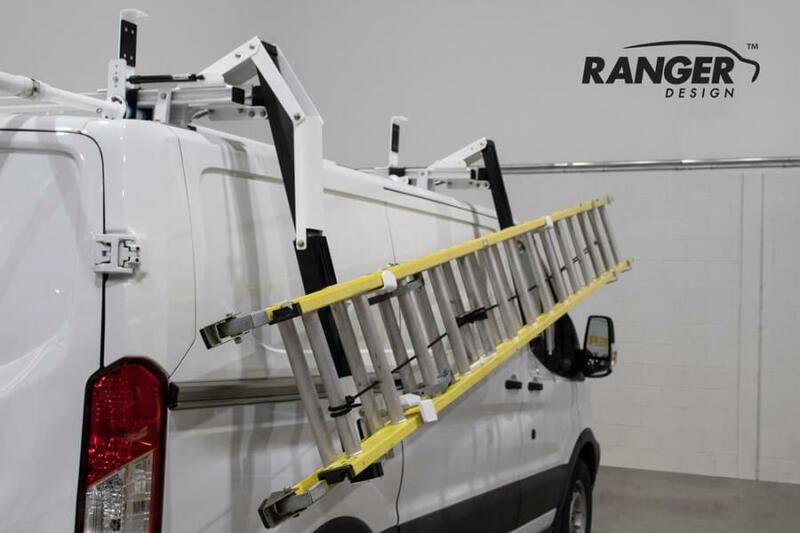 In keeping with the company's safety standards, there's no need to stand below the ladder while it lowers thanks to Ranger's industry exclusive single stage drop. Bi-directional dampers in the rack's mechanism ensure a smooth operation both to raise the ladder and to lower it. Another enhanced safety feature of the Max Rack 2.0 is its reduced profile, now sitting 3 in. lower to diminish chances of catching any low-hanging objects such as drive-thru signs or tree branches. For more information, visit rangerdesign.com/van-ladder-racks/.